The Home Affordable Refinance Program, or HARP, has helped over 3 million American homeowners refinance into a lower rate and payment even though they owe more than their home is worth. The real estate downturn of 2009 spurred the government to issue new lending guidelines to help people save money each month on their mortgages despite low home values. Current 2018 HARP guidelines are as follows. No 30-day late payments in the last 6 months. You can’t use HARP on the same property twice. There are two different versions of HARP. The Fannie Mae version is called DU Refi Plus. The Freddie Mac version is called the Relief Refinance. These two programs are essentially the same for most borrowers. The loan program homeowners use depends on who currently owns their mortgage. Click to Download Our Free HARP eBook. Learn About Upcoming Changes, and Secrets on How to Qualify. FHFA has confirmed that a new HARP-like program will open up to homeowners starting January 1, 2019. The new program eliminates the requirement that the loan must have been opened on or before May 31, 2009. Instead, the loan note date must be on or after October 1, 2017. This program is designed as a HARP replacement. As HARP gets repealed, then, this new high-LTV refinance will take its place. Take note that the program still doesn’t allow homeowners to get a high-LTV refinance if their loan was opened between June 1, 2009 and September 30, 2017. Guidelines for the new program, according to FHFA sources, are as follows. Until this program is rolled out, it is worth checking your standard HARP eligibility to take advantage of home payment savings now. HARP mortgage interest rates are as low or lower than standard conventional refinance rates that require 20% equity. This fact is why HARP has been such a benefit in today’s refinance market. Homeowners with no equity or even negative equity in their homes can get the same rate as someone with a lot of equity. This is possible due to strong government backing. Lenders have discovered this is a safe and stable mortgage product to offer to their customers. The HARP program is a win for everyone. What is HARP 1.0, 2.0, and 3.0? Harp 1.0 debuted in 2009. It allowed borrowers to refinance at up to 125% loan-to-value. Loan-to-value is the comparison between the loan balance owed and the value of the home. Then the Federal Housing Finance Agency (FHFA), the entity that oversees Fannie Mae and Freddie Mac, determined that the 125% cap was too limiting. Many homeowners were still unable to refinance because their values had dropped so dramatically. HARP 2.0 was rolled out by the FHFA on March 17, 2012. The new enhancement eliminated the loan-to-value cap for fixed rate mortgages. With this move, the FHFA hoped to allow millions more American homeowners to refinance. The current HARP program has been extended to December 31, 2018. See if you’re eligible for a HARP-alternative program. HARP 3.0 was a possible enhancement to the HARP program that would eliminate some rules and allow more to qualify. However, HARP updates are unlikely to happen at this point, since the program is set to expire in 2018. Do I Have to Use My Original Lender for a HARP Refinance? No. Any lender already set up to do Fannie Mae and Freddie Mac loans can do a HARP loan, despite where the original loan was completed. In fact, you’ll probably get a better rate by shopping around. Shop around for a HARP-alternative program rate by completing one short online form. Did Obama Waive Refinance Requirements? On October 27, 2013, Fannie Mae and Freddie Mac changed the HARP cutoff date requirement slightly. Previously, the mortgage had to be sold to Fannie or Freddie on or before May 31, 2009 to be eligible. This means you could have closed a mortgage at the beginning of May 2009, but be ineligible for HARP, simply because your lender did not sell the loan to Fannie or Freddie quickly enough. Now, your loan just has to have closed by May 31, 2009, and you are eligible for HARP. If you purchased or refinanced in April or May of 2009 and have been denied for HARP before, try again now by completing a short online form to check eligibility. On a HARP loan, there is no maximum loan-to-value set by Fannie Mae or Freddie Mac. The exception is that Freddie sets a maximum loan-to-value of 105% when the new loan is an adjustable rate. Even though Fannie and Freddie don’t set maximums for fixed rate HARP loans, some lenders do. Some will HARP loans up to 125% LTV, and some to 200% LTV. Some banks may have higher limits or no limit at all. It’s up to the borrower to find a lender who will allow an LTV high enough to qualify. Check today’s HARP-alternative program interest rates. The HARP program allows borrowers to refinance the first mortgage while a second mortgage is in place. Fannie and Freddie do not set a combined loan-to-value (CLTV) maximum. The CLTV is the total of all loans on the property. HARP does not allow the borrower to pay off the 2nd mortgage with an increased 1st mortgage balance. The second mortgage must be subordinated behind the new first mortgage refinance. Subordinating is simply obtaining an agreement from the second mortgage owner to remain in second position after the new first mortgage is opened. Keep in mind that subordination agreements can be difficult to get because second mortgage holders are reluctant to subordinate a loan at 200+% CLTV. However, second mortgage holders have been strongly encouraged by the government to approve subordinations so that the first mortgage can be refinanced. In the past two years, more 2nd mortgage lenders are subordinating their loans without issue. Be prepared for long waits of two to six weeks, however, as lenders are inundated with subordination requests. Check your eligibility for a HARP-alternative program. Can I Wrap Closing Costs into the New HARP Loan? Yes. HARP allows you to wrap in closing costs, with limitations. Fannie Mae allows you to roll up to 4% of the existing loan balance in closing costs. Freddie Mac allows up to 4% of the existing loan or $5,000, whichever is less. If these limits are exceeded, the borrower will have to pay the extra amount in cash. Can I Receive Cash Back on HARP? Both Fannie Mae and Freddie Mac limit cash back to $250. The exception is if the borrower pre-pays for any fees. Then the borrower would be able to receive $250 plus the amount they prepaid. Except in this scenario, any amount over $250 will need to be applied to the principle at loan closing (called a principal reduction), or by re-underwriting the loan with a lower loan amount. Not all lenders will agree to do a principal reduction at closing. In some cases the loan amount has to be sent back through underwriting with a lower loan amount, causing delays. What Types of HARP Loans are Available? A borrower may open a 15-, 20-, or 30-year fixed rate HARP loan. Also, 5-, 7-, and 10-year ARMS are available. However, if you have a fixed rate mortgage, you can’t refinance into an ARM. 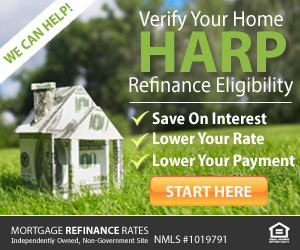 Apply for a low rate on your HARP-alternative refinance here. Can My New HARP Loan be an ARM? You can refinance into an ARM loan if you currently have an ARM. For instance, you received a 10-year adjustable rate loan nine years ago and it is about to adjust. In this case, you can refinance into a new ARM with HARP. This will keep your payments lower than if you refinanced into a fixed rate. Many borrowers who have an ARM simply can’t afford the new fixed-rate payment. The maximum loan amount for a HARP ARM loan is 105% of the home’s current value. Make sure your home is not too far underwater. Otherwise, you would have to opt for a fixed HARP refinance. Can I Get an Interest-Only HARP Loan? Fannie Mae stopped offering interest-only loans after the housing downturn. The only options for HARP are fixed and adjustable rate mortgages that are fully amortized, meaning full principal and interest payments are required. Will I Need Mortgage Insurance if I Open A HARP Loan? One of the biggest benefits to HARP loans is that borrowers do not need private mortgage insurance (PMI), even though their loan-to-value is above 80%. However, if you have PMI now, you’ll have to keep it on your new HARP loan. The lender will take care of transferring your current PMI account to your new HARP loan. Can I Get a HARP Refinance if I Have Mortgage Insurance? Yes. However, you’ll need to keep your existing PMI on the new loan. You can’t eliminate your current mortgage insurance payment by refinancing with a HARP loan. Keeping your mortgage insurance requires the HARP lender to transfer your existing PMI. Not all lenders are willing to do that, however. If the lender won’t, the borrower should find a lender who does. Can I Refinance a Rental Property with HARP? Fannie and Freddie allow HARP loans on primary residences, second homes, and rental properties, as long as the loans are owned by Fannie or Freddie, and meet the other criteria. Are Condos and Townhomes Allowed? Yes. Since the condo or townhome was eligible for the original Fannie or Freddie loan, it is eligible for HARP. However, lenders may require a questionnaire from the condo association to prove it is not in pending litigation (has a law suit opened against it). Check today’s HARP-alternative program rates. An appraisal may or may not be required. The lender will run the refinance scenario through an automated underwriting system (AUS), a computerized system that determines loan eligibility. Part of the function of the AUS is to determine if the loan needs an appraisal or if the requirement for an appraisal is waived. The AUS makes this decision based on estimated value input by the loan officer, the geographical area, among other criteria. Fannie and Freddie have updated their AUS systems as part of HARP 2.0 to allow for more appraisal waivers. However, there’s no way to tell if a borrower’s property will need an appraisal or not until the whole loan scenario is run through the AUS. What is the Maximum Loan Amount for HARP? Higher HARP loan amounts are available in some areas. These loans are known as “Jumbo-Conforming” or “high balance” HARP loans. The below limits apply in areas where housing is more expensive, as determined by Fannie Mae. Loans for properties in Alaska, Guam, Hawaii, and the Virgin Islands can exceed even these limits. You can click on the below image for complete 2018 HARP loan limits by county. Check HARP loan limits for your area. 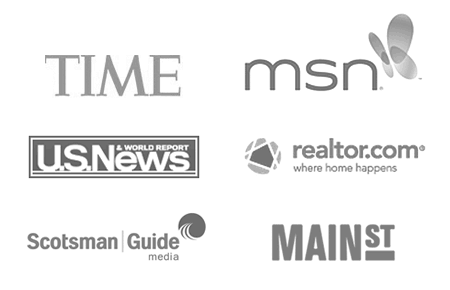 Receives a small percentage of the mortgage interest to perform these services. If your loan is owned by Fannie Mae or Freddie Mac, there’s a chance you could qualify for the HARP-alternative program. What are HARP’s “Benefit to the Borrower” and “Net Tangible Benefit” Requirements? 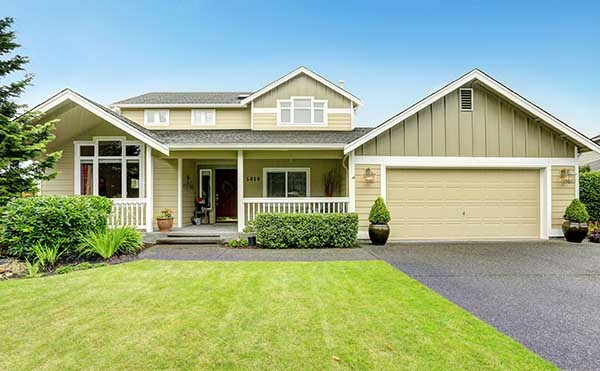 Most borrowers are savvy enough to know when a refinance will benefit them. However, Fannie and Freddie require lenders to complete certain forms making sure the refinance pencils out to the positive for the borrower as an added protection. See if you’re eligible for the HARP-alternative program and check today’s rates. What is an “AUS approval” and do I Need it for HARP? These are proprietary computerized underwriting systems Fannie and Freddie have developed to analyze the borrower’s complete credit, income, asset, and property picture to arrive at a final decision on your loan. Real-life underwriters then verify the information that was input into these systems. You will be required to receive an “approved” response from either DU or LP, depending on who currently owns your loan. Without an “approve” recommendation from one of these systems, Fannie and Freddie typically won’t purchase the mortgage, so the lender will not close the loan. See if you can be approved for the HARP-alternative program. Can I Add or Remove a Borrower when I Refinance with HARP? Get a free HARP-alternative rate quote here. Can I Pay Taxes and Insurance Separately on My New HARP Loan? No. Paying property taxes and insurance with your mortgage payment each month will be required on the new HARP loan. When Does the HARP 2.0 Program Expire? Recently, the Federal Housing Finance Agency (FHFA) extended the HARP program until December 31, 2018. 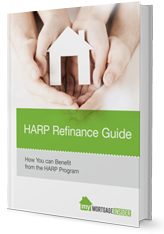 Those who wish to use HARP to refinance still have time. However, there’s no telling whether interest rates will stay low enough to make refinancing worth it. On January 1, 2019, a new HARP-like program begins. Fannie Mae and Freddie Mac loan holders will be able to refinance even if their LTV is over the standard Fannie/Freddie limits. The best way to find out if you qualify is to complete a short questionnaire here. In just a few minutes you’ll have access to your eligibility status and today’s HARP-alternative rates.